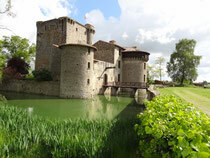 Contact Tennessus Castle - Welcome to Tennessus Castle, french medieval b&b rooms with swiming pool ! Château de Tennessus is located 7km north of Parthenay in the department of Deux-Sèvres, which in turn lies 50km due west of the city of Poitiers. 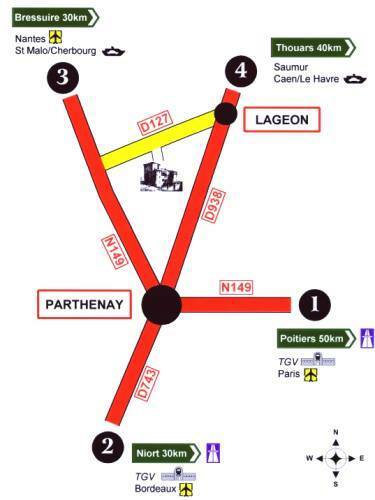 Driving times: the Château is less than one hour from the TGV station at Poitiers (trains to Paris Montparnasse take one-and-a-half hours), three hours from St Malo and Bordeaux; four hours from Paris; less than five hours from Caen; and less than six from Cherbourg and Le Havre.